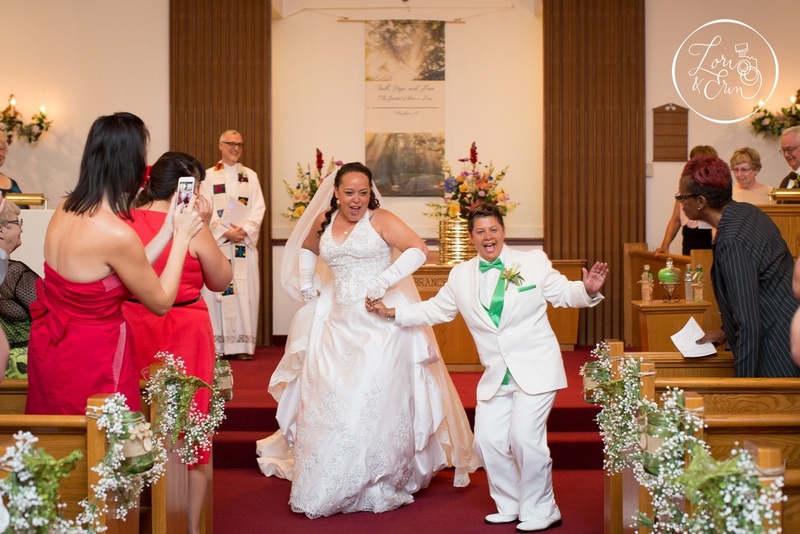 It's hard to find two people who were more excited to get married than Lisa and Shelly. From the start of the day to the sparkler finish, they were floating on cloud nine. It was truly beautiful. Lisa and Shelly really thought of everything. The ceremony was meaningful and moving. They wrote their own vows, and included both families beautifully. And as they exited, bubbles greeted them on their way out! The reception was gorgeous, I loved the green and brown natural decor, mixed with a comfortable feeling atmosphere in a natural, park setting. They blended a great barbecue meal and beautiful setting perfectly. You could feel the love everywhere - in each toast given, every hug shared, and even on the rockin' dance floor. At the end of the evening, they sent out a wish lantern into the sky while sparklers lit up the night around them. It was a wonderful day for an amazingly giving couple. We're so honored to have been a part of making it last forever. An amazing cast of vendors made this day beautiful!